I'm a native of Lancaster, Pennsylvania. I have lived in central Pennsylvania, in northern Illinois, and in the North Quabbin region of western Massachusetts. I have worked as a librarian for more than 30 years, in a variety of schools and colleges and public libraries. I got a degree in outdoor teacher education along the way. I've been an independent scholar, writer, presenter, and outdoor educator since 2006. I am now based in north central Massachusetts. Both Nature and writing have been important to me, for nearly as far back as I can remember. I used to spend hours in our large (to me) back yard in Suburban USA. I climbed the sugar maple behind the house. My parents set up a canvas tent for me to "camp" in. I was a Girl Scout for fourteen years, too, and spent two wonderful summers as a counselor at Camp Furnace Hills in Denver, Pennsylvania. These were happy and satisfying times. And their memories are what motivated me in later life to go for that outdoor ed degree. My regular writing habit began in fifth grade, when I wove stories about a community of mice from my weekly lists of spelling words. This was the 1960s. When I hit high school in the 1970s, I started writing poetry. I got turned on to Henry David Thoreau by reading "Civil Disobedience" in tenth grade and Walden in twelfth, and he's been an influence in my life ever since. By the 1990s, I was writing book and video reviews. I wrote my first novel (still unpublished) in the five months following September 11, 2001. 2012 marked the release of my first book, Westward I Go Free: Tracing Thoreau's Last Journey, by Green Frigate Books. My second, Henry David Thoreau for Kids: His Life and Ideas, With 21 Activities, was released by Chicago Review Press in 2016. I'm a member of the Society of Children's Book Writers & Illustrators (SCBWI) and The Thoreau Society. More projects are in the works. What can I say? I am always writing. And I often head outside for inspiration. A brief resume here. A full CV here. "Local author tells kids to 'go for a walk' and take a lesson from Henry David Thoreau," by Tom Knapp, LNP [Lancaster Newspapers], March 6, 2016. "Behind the Scenes: Corinne Hosfeld Smith, author of Thoreau for Kids," by Meaghan Miller, Chicago Review Press blog, January 26, 2016. 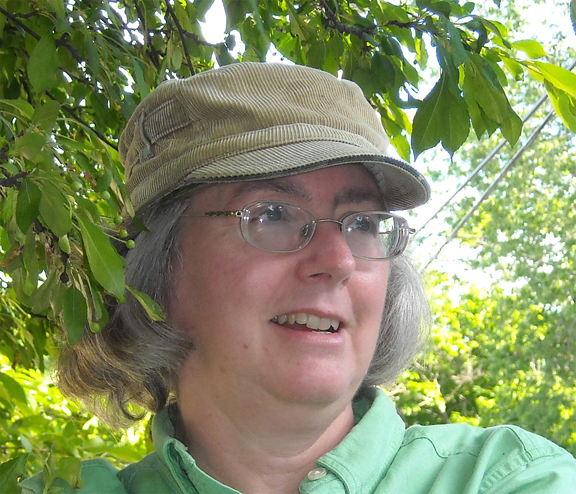 "Retracing Thoreau's footsteps lands author in Goderich," by Kathryn Forrest, Goderich Signal Star, September 6, 2012. 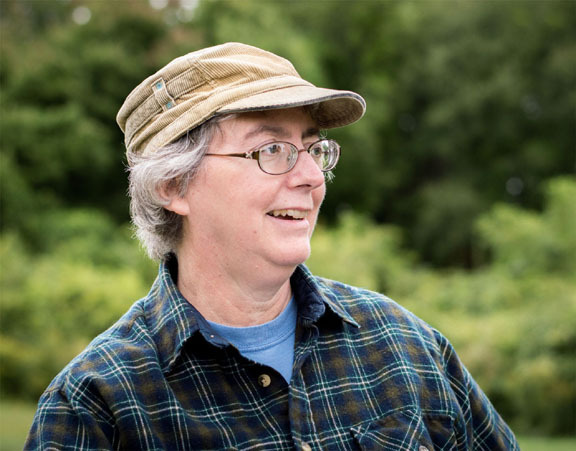 "Athol author traces the last journey of Thoreau," by Kathy Chaisson, Athol Daily News, July 14-15, 2012. The podcast from my June 21, 2011, visit to the WRMN-AM studios in Elgin, Illinois. The topic of conversation was Henry Thoreau's trip through the area in 1861. If you want a photo of me for event publicity, you can click here for a close-up or click here for a distant one.